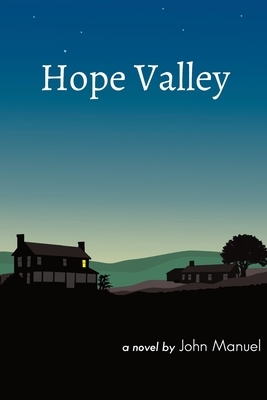 Hurley Cates, the 70-year-old protagonist of Hope Valley, is a retired factory worker who lives with his wife, Opal, on a hilltop farm on the edge of Durham, NC. Durham in the 1980s is undergoing rapid change from dying Southern factory town to a land of opportunity for new age entrepreneurs and unconventional youth. Hurley is determined to hold on to the heart of his world--his pristine farm with its 5-acre lawn and the house he built for his hapless son, Buddy. But when Buddy sells the house to a young female couple, Hurley's world threatens to unravel. He intends to tell the new neighbors how life is done on "the hill," but when he knocks on their door, Hurley is the one who is forever changed. Hurley becomes enamored of the beautiful Renata and intrigued with Danny, whose Southern farm upbringing gives her skills rivaling his own. The women, in turn, delight in Hurley's sense of humor and his homespun philosophy. Shy Opal feels left out of this triangle, but even she finds a place when Renata gives birth to a mixed-race child. Then, a storm hits the hill, leading to the death of a loved one. Finger-pointing and guilt threaten hard-earned friendships and marriages. Those who survive do so with a new-found sense of humility and grace. Hope Valley is a parable about overcoming the urban/rural, straight/unconventional, white/multiracial divide that besets modern America. Only by listening to each other and learning to forgive do the characters gain an acceptance of each other and of themselves.